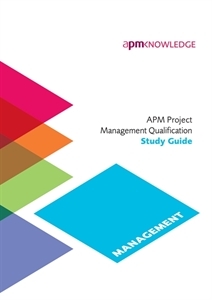 APM has partnered with training provider Parallel Project Management to publish APM Project Management Qualification Study Guide. Based on the highly successful Your journey to professional project management: How to pass the APMP, the guide aims to ‘cut through the jargon, providing examples and real hands-on practical advice on how to better manage projects and pass the exam’. At its core are 12 sections that follow the same basic systematic approach as APM Project Management Qualification syllabus. Each section includes a learning outcome with groups of assessment criteria that consider the breadth of knowledge encapsulated within the APM Body of Knowledge 6th edition and elsewhere. Readers of this publication may also be interested the APM Body of Knowledge 6th edition.